What Is The Spiritual Gift of Mercy? How Do You Know If You Have It? What is the spiritual gift of mercy? How can you know if you have it? What are the attributes of having this gift? I love the definition of grace and mercy that I have seen over the years; grace is where we receive that which we do not deserve but mercy is where we do not receive what we actually do deserve. God is not obligated to be merciful to us; He just is! Because God is good He gives us mercy even though not one of us deserves it. 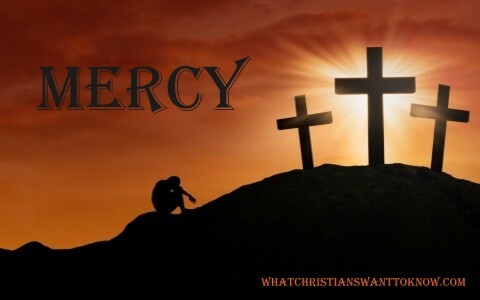 The Greek word for mercy in the New Testament is “eleeō” and can mean “to help one afflicted” and “to bring help to the wretched.” I like the Hebrew meaning of the word mercy which is “rakh’-am” and its meaning “womb” and “compassion.” So the full use of the Hebrew and Greek definitions of mercy can be read like this; it is to help the wretched and afflicted, showing them compassion. I like that. That is exactly what God does for each one of us sinners. I believe there is a connection for those who have the gift of mercy as we will read. Romans chapter 12 is not a comprehensive list of all of the gifts of the Spirit. In fact, others are listed in 1 Corinthians 12 but I believe there may be more spiritual gifts than these and not even be aware of them. Romans 12:4 says “the one who exhorts, in his exhortation; the one who contributes, in generosity; the one who leads, with zeal; the one who does acts of mercy, with cheerfulness” so we know for sure that the gift of mercy is a God-given or more precisely, Spirit-given gift but what does mercy look like in the Bible? Jude mentions the word mercy 4 times in this one chapter book and he says that we should show or express mercy on those who doubt. Does he mean those who doubt their salvation or maybe those who doubt at times of great duress that God even exists? Perhaps, but either way we ought to show mercy (compassion and help to the afflicted) to those who have doubts. Also, Jude says that we ought to “show mercy with fear” which may be his way of saying that we ought to tell the whole Word and give the whole counsel of God to unbelievers, telling them that the fear of God is the beginning of wisdom and that those who reject Jesus Christ should fear the coming judgment of God (Rev 20:111-5) because they are under God’s wrath (John 3:36b) unless they repent and trust in the Savior. God has been merciful to all who have trusted in Christ but “judgment is without mercy to one who has shown no mercy” (James 2:13). James is saying that if you and I are not merciful to others, which means forgiving others when they don’t deserve it, then God will not forgive us because we haven’t been merciful or forgiving of others as Jesus said “forgive, and you will be forgiven” (Luke 6:37). That’s why Jesus pronounced a blessing for those who are merciful as He said “Blessed are the merciful, for they shall receive mercy” (Matt 5:7). The opposite of this is also true because if we don’t show mercy to others we will not receive mercy from God and that means we’ll miss out on a blessing! That’s why Jesus said “I desire mercy, and not sacrifice” (Matt 9:13) so “if you do not forgive others their trespasses, neither will your Father forgive your trespasses” (Matt 6:15). I don’t believe everyone has the gift of mercy because God distributes the gifts for the good of the church and gives to each gifts as He pleases and He wills as it says in 1 Corinthians 12:11 “All these are empowered by one and the same Spirit, who apportions to each one individually as he wills.” Believers might have more than one gift but every believer has at least one gift because it says that God “apportions to each one individually” so this leaves no one out. If someone says they don’t have a gift of the Spirit, then they either don’t recognize the evidence of their gift(s) they have or they are not using their gift properly or at all. People who have the gift of mercy will live out this gift. Romans 12:4 says “the one who does acts of mercy” so it is what you do, not what you feel; it is action oriented. Mercy is a verb more than it is a noun. Keep in mind the Hebrew and Greek definitions of mercy. The person who has this gift will act with compassion, they will help the afflicted, they will bring help and comfort to those who need it, and they will have no outside motivation to do so. It will purely be God or Spirit-driven. Remember the source of the gift is God, it is not human generated but it will be oriented toward humans.both inside and outside of the church. Whoever has this gift will show compassion on others. The word compassion means “with” or “alongside” (com) “passion” so whoever has this gift will come alongside someone and passionately show them tenderness, love, do acts of kindness, cry with the brokenhearted, attempt to help and alleviate suffering, give financially but also emotionally, physically, and spiritually (like praying for and praying with them), help those in deep depressions, despair, severe loneliness, and unbearable grief. God has shown us His great mercy. In what way? “But because of his great love for us, God, who is rich in mercy, made us alive with Christ even when we were dead in transgressions–it is by grace you have been saved” (Eph 2:4-5). Paul says even “though formerly I was a blasphemer, persecutor, and insolent opponent. But I received mercy because I had acted ignorantly in unbelief” (1 Tim 1:13) “But I received mercy for this reason, that in me, as the foremost, Jesus Christ might display his perfect patience as an example to those who were to believe in him for eternal life” (1 Tim 1:16) but there is a condition to receiving God’s mercy; “His mercy extends to those who fear him” (Luke 1:50). If you fear God that means you will obey God and if you have obeyed God then you have already repented of your sins and trusted in Christ for “The times of ignorance God overlooked, but now he commands all people everywhere to repent because he has fixed a day on which he will judge the world in righteousness by a man whom he has appointed; and of this he has given assurance to all by raising him from the dead” (Acts 17:30-31). Is that you? If so, then God has already displayed His marvelous mercy on you so why not show mercy to others. Those with the gift of mercy most certainly will. Take a look at this related article: What is the Spiritual Gift of Prophecy? That`s a very good article Jack. It`s very uncanny because I think you wrote this article for me. When I am asking God to forgive me of my sins I always use that word,because I think that comes first mercy without saying that first you might has well stop asking God to forgive you your sins. I say in your mercy God forgive me from my sins,because if you don`t have mercy,and has you say in your article then He won`t have mercy on me. That`s what I am relying on is Gods mercy,and you mention it quite clearly in your article. I find it very hard not to use it,and I could say I`am sorry but it`s not the same it`s the only word that comes out of my mind and mouth. That`s the only word I know. Off topic I wondered if Pontius Pilate Prefect was mentioned in history and not just in the bible. I downloaded it from YouTube and it`s called “Pontius Pilate”and he was mentioned along with Jesus. He is not like the Pontius Pilate described in the bible,and he took a great interest in Jesus because he thought he might unsettle the peace. When he came to talk to Jesus by himself he changed is opinion of Jesus and found Him innocent that He done no harm at all. I will stop now because you might want to watch it. Thanks Jack for your gift of mercy. Wow Anthony. Thank you so much for your very kind words to me my beloved brother. It is rare for believers to be so encouraging today (sadly) but your words were to me like a cool drink of water in the wilderness. I thank God for you that there are still “Barnabas'” out there like you Anthony…and I covet such believers like you in the Body of Christ where I am an under-shepherd to the Great Shepherd. Wow…thank you again. I actually have written an article about this man at: http://www.patheos.com/blogs/christiancrier/2014/11/17/who-was-pontius-pilate/ and I hope you could gain something from it my friend. Thank you again so much. You are a beast brother!!!! Excellent article. Very encouraging as I’m searching the scriptures to properly divide in our Sunday school class the spiritual gift of Mercy in a couple weeks. Love your clarity. Very encouraging and confirming. May our God father of our Lord and Savior Jesus Christ continue to bless your ministry. Hello Virgil. Thank you sir. What a great subject for a Sunday school class. Love that. I believe you must have great discernment too! Thank you for the encouragement. Next post: What Is The Difference Between Fundamentalists and Evangelicals?